Subject: Celebrate Sorghum this June! We are proud to have been a sponsor of the Today’s Dietitian Spring Symposium this year! If you had a chance to stop by our booth and sample our Watermelon, Arugula Sorghum Salad and Three Bean Sorghum Salad, thank you! Want to try the recipe at home? Use one of these coupons! For sorghum recipes, cooking tips as well as downloadable nutrition assets for health professionals, visit SimplySorghum.com. Sorghum is the Whole Grains Council’s grain of the month this June - aka sorghum month - a time for us to celebrate our favorite grain! Whole grain sorghum is nutritious and an extremely versatile ingredient in the kitchen. 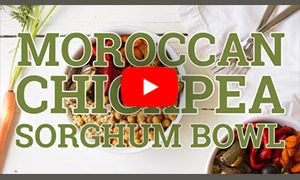 One of our favorite ways to use sorghum is in grain bowls. 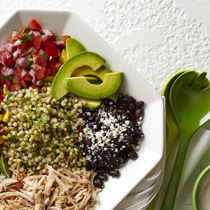 We will be sharing our favorite grain bowl recipes all month long! Follow along on our social channels and on our website. 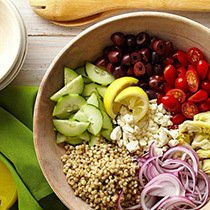 What's your favorite grain bowl recipe? Send your taste buds on a culinary journey around the globe. Taste the boldness of Mexico, savor the taste of the Middle East or indulge your palate with the traditional flavors of Greece. 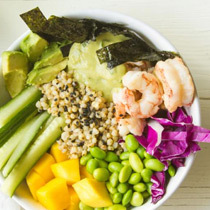 Try these delicious sorghum whole grain bowl recipes to add adventure to your meals. 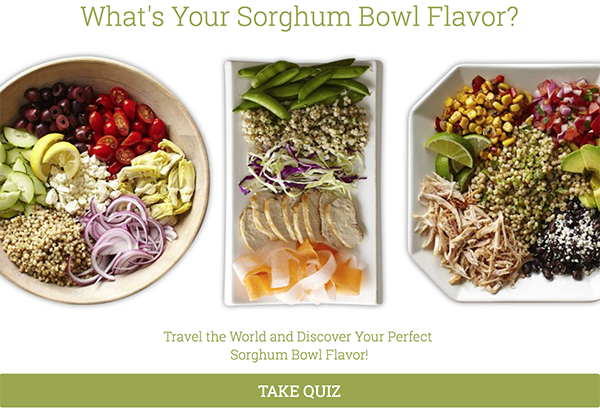 Take this quick quiz to find the perfect bowl recipe and begin your adventure with sorghum. The goal of Sorghum. Nature's Super Grain® is to educate consumers about the wholesome goodness of sorghum and the endless possibilities it has to offer in a healthy diet. Sorghum. Nature's Super Grain® is a brand developed by the Sorghum Checkoff - SorghumCheckoff.com.